Marc Behrendt is the Director for Europe and Eurasia programs at Freedom House, with over 20 years of experience working in the Eurasia region in peacebuilding, governance and human rights. Prior to joining Freedom House, Behrendt ran his own consulting firm, promoting security and development primarily in the Eurasia region. Highlights include supporting the Kyrgyzstan Inquiry Commission, the Constitution Commission of Fiji and long-term consultancies promoting peace in the south Caucasus with Conciliation Resources and the European Partnership on Nagorno-Karabakh. 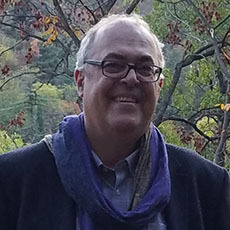 Behrendt served as the Eurasia Programme Manager for International Alert, where he directed peacebuilding programs in the Caucasus and Central Asia. In addition, he has served as the Head of Human Dimension at the OSCE Mission to Georgia, the Georgia Country Director for Internews, and the Russia Projects Manager for the World Institute on Disability.